Finding the best acne body wash is easy and will help you clear your skin. Body acne, bacne, or whatever you want to call it is embarrassing. It can ruin trips to the beach, intimate moments, and backyard BBQ's. Trying to use the typical acne treatment for your entire body would be an incredibly expensive way to treat it, luckily many skin care companies came to the rescue and began making body washes for this purpose. There are roughly 50 different acne body wash products currently on the market, so to help you choose I've narrowed those 50 down to the three best. This decision is based on total number of sales, user reviews, and my own experience. Below each brand is a link to Amazon so that you can buy them in bulk and save a ton of cash, if you want. I know that you don't get the instant results of going down to the store and buying it, it's your money and you can do with it what you want. One very important thing is to use at least an entire bottle of body wash for acne before deciding whether or not it's the right product for you. The medication in the soap takes time to really work, and if you are jumping from product to product you'll never really get the results that you want. *Update* I added two new acne body washes towards the bottom of this Hub. One is fairly new, and the other is extremely effective! Be sure to check them out! Neutrogena is well known for making skin care products that don't make sensitive skin worse. This body wash contains salicylic acid to clear acne, but the moisturizers in it prevent the skin from drying out. Due to some smart chemistry, the formula of this body wash is designed to rinse completely off without leaving behind residue, which will clog up your pores. If you have sensitive skin, the extra few bucks per bottle will be very worth it for this body wash. 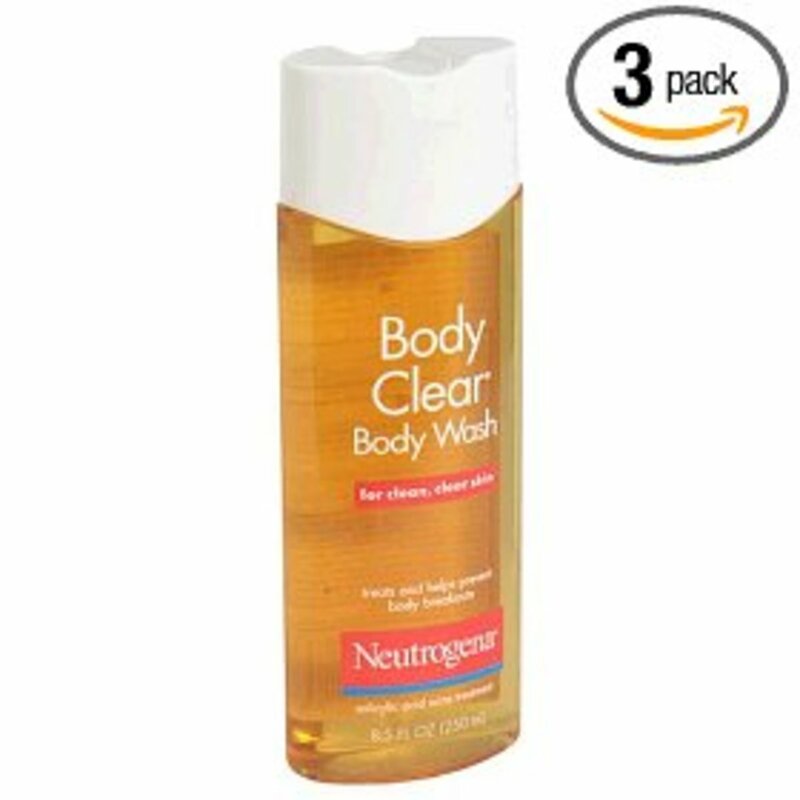 This Neutrogena body wash is ideal for people with sensitive skin. For the longest time I didn't believe the hype that Murad has around their products, until my cousin had fantastic results with this body wash! 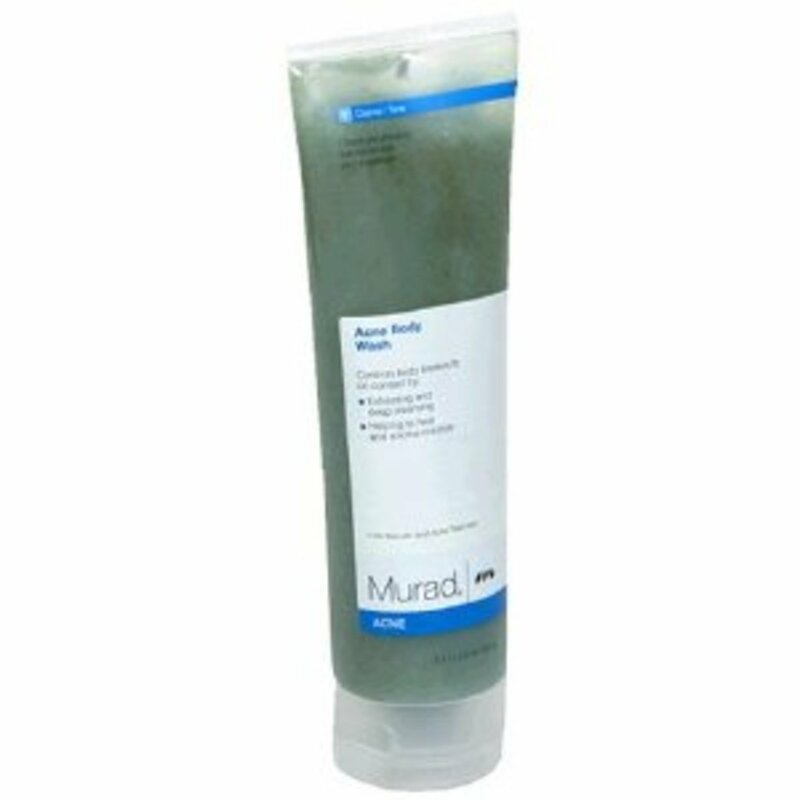 Murad acne body wash definitely isn't cheap, but it is very effective. I never wanted to try it out because of the price, but my cousin was suffering from really bad acne on her shoulders and after using a little more than half of this bottle, it was all cleared up. Impressive! Murad also has diet supplements (vitamins) that are supposed to help in clearing up your skin as well. Again, these are pretty expensive, but people are getting really good results from them. I never thought that I would add a Murad product into this Hub, but after seeing the results that she got, I decided that it was a must add! If you don't have a problem with the price, this will get you great results! A super effective acne body wash! This acne body wash from Phisoderm is highly recommended by dermatologists to help you get your skin under control. It works great for blemishes and blotches all over your body. Ingredients like aloe vera and chamomile naturally heal your skin and give this body wash a great fragrance. The 2% salicylic acid content helps keep pimples and blackheads at bay. The best part is that most users see positive results in less than a week. 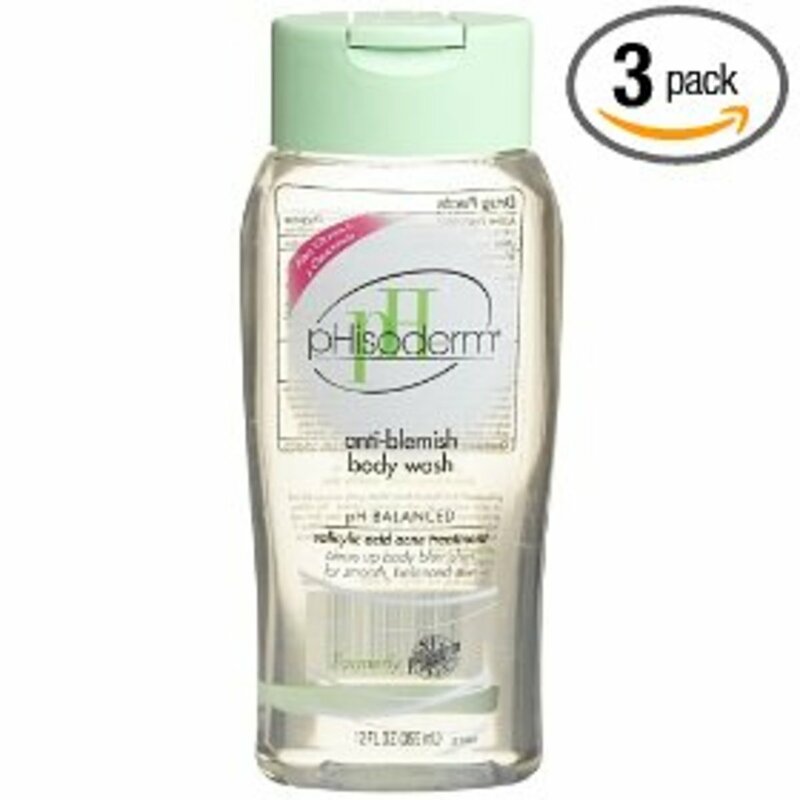 pHisoderm Body Wash, Anti-Blemish, 12 oz. A great body wash at a great price. This body wash is geared more for guys with its different scents (think Axe). This is my favorite body wash. I have a bottle in my shower on hand for when breakouts hit. Like the others, it contains 2% salicylic acid to directly target acne. It uses Oxy's proprietary formula that they have been using for treating acne for years. The price of this one is a few bucks less than the others (I wish that was the price when I bought it...) and there is no sacrifice in quality. 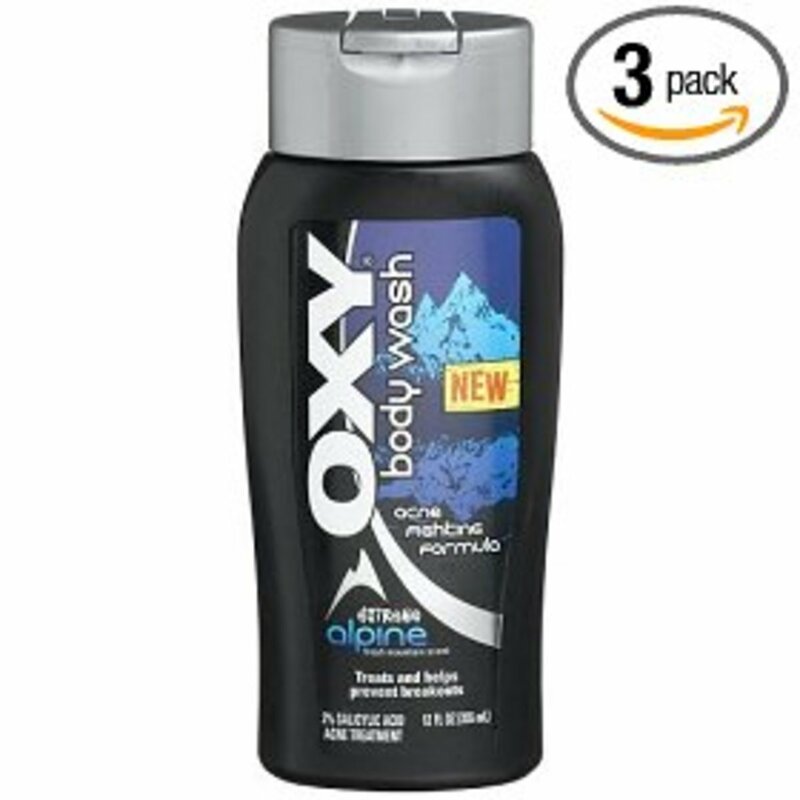 My favorite acne body wash at an awesome price. This product is the reason that I decided to update this Hub. The Acne Stress Body Wash is a fairly new product on the market, and people are getting really good results from it. All of Neutrogena's body and face washes are generally great at not drying out your skin while taking care of the acne, and this is the same. What I really like about this acne body wash is that you can get it with a face scrub and a moisturizer, so it acts like Acne Free or Proactiv, but it treats acne all over your body and face. Using one product to treat all of the acne that you have will reduce the risk of over medicating your skin and drying it out. My (new) favorite acne body wash! The best acne body wash is the one that clears up your skin. The only way that you'll figure out which one is to try out the recommendations here and see how they work. Everyone's skin is different, so what works great for me, may not work so well for you. It's time to face your body acne head on, and there is no better way to treat it than with acne body wash! Another way to help out your acne is simply to cleanse your body. Drinking a ton of water and eating a vegetable based diet is a great way to get started with this. The acne body wash will work to clean from the outside, and a healthy lifestyle will work on the problem from the inside! You can earn money my writing Hubs just like this one! Sign up for Hubpages here. Thanks for sharing this, I have ever increasing body acne and am definitely looking for a solution. My daughter is already having problems with acne and our dermatologist recommended Citrus Clear - so I tried this and it worked immediately. She is washing her face and using it daily and is a much kinder and gentler than other acne products. She loves it ! Thanks for the blog! I'm 23 years old and my body acne is now worse than when I was a teen. Thankfully, facial acne has finally cleared. Unfortunately I have had very little success with Neutrogena body wash and body spray (even though I love their facial products). I broke out really bad after using the spray. I used it for about 2 weeks and my acne got so bad on shoulders and back I couldn't use it again. The body wash didn't make my skin worse, but it didn't help either. I've also tried ProActiv body wash and that didn't do anything either (waste of money). And again, I like their facial products. I will certainly try some of these suggestions... perhaps Phisoderm. The one product I have had SOME success with for my body is actually Clean and Clear 3 in 1 Acne control face wash.... yes I use a face wash on my back and shoulders. We do what works, right?! Oh, I forgot the body spray, it does actually work. However, I have used Neutrogena so long that it is not effective for me anymore. My sitaution is that is my acne comes and goes on my body. Now that I'm pregnant it has come back, on my back and it is driving me crazy!So I'm looking for a new body wash, has anyone tried the body washes above? I was going to try proactive, but I did not hear good things about it so decided not to. I really appreciate the information and opinions you have provided. Very helpful however, Neutrogena tests on animals... Not sure about the other brands you listed but will definitely check those out, thank you! Your recommendations are good, but it is also worth considering that a lot of acne washes are very drying, and can actually upset the skin's natural balance. If you have oily skin then it is well worth using an acne body wash. However, if you have dry skin then you might want to use a pH netural, moisturizing lotion or cleanser (such as Cetaphil or Dove Soap) Use this in combination with a loofah/body scrubber and those amongst us with dry skin will probably see better results. As is always the case with acne, one glove does not fit all! However, you are right in saying that if you pick an acne body wash or treatment, you should stick to it. PLEASE don't just use a treatment for a few days and then decide it won't work; you'll never get the results you want or deserve this way. Wow, Thanks for sharing this page. It can be a great help have a acne body cure. By this all self confident will boost into its natural way. Just like all people want! When you say not to use a lufa what would you suggest? Just rubbing the wash on with my hands? Does that clean the areas effectivly? Nice products... would like to buy some but it's a pity they don't sell any of those in my country. Or at least what I've seen. I agree as a previous body acne sufferer, It really is important to use a body acne wash whilst showering, in conjunction with a body acne spray after showering to offer the best protection against outbreaks. I am sixteen and I I have face acne, chest acne, back acne, and few on my shoulders that won't seem to go away. This blog gives me hope. I especially liked your advice about using up an entire bottle before deciding about how effective it is. You have to be diligent and treat your acne battle like a long-distance run not a sprint. Being consistent and sticking with the plan yields results in the long-run. Hi, i just wanted to say that i really enjoyed your blog. You have found some really great acne gels and treatments here. I particularly like the neutragena one, although you do need t use a good moisteriser after it. I have moderate body Acne on my back, Chest, and Shoulders. I am a 20 year old fit male College Student. The "Body Clear" body wash is my preferred product. 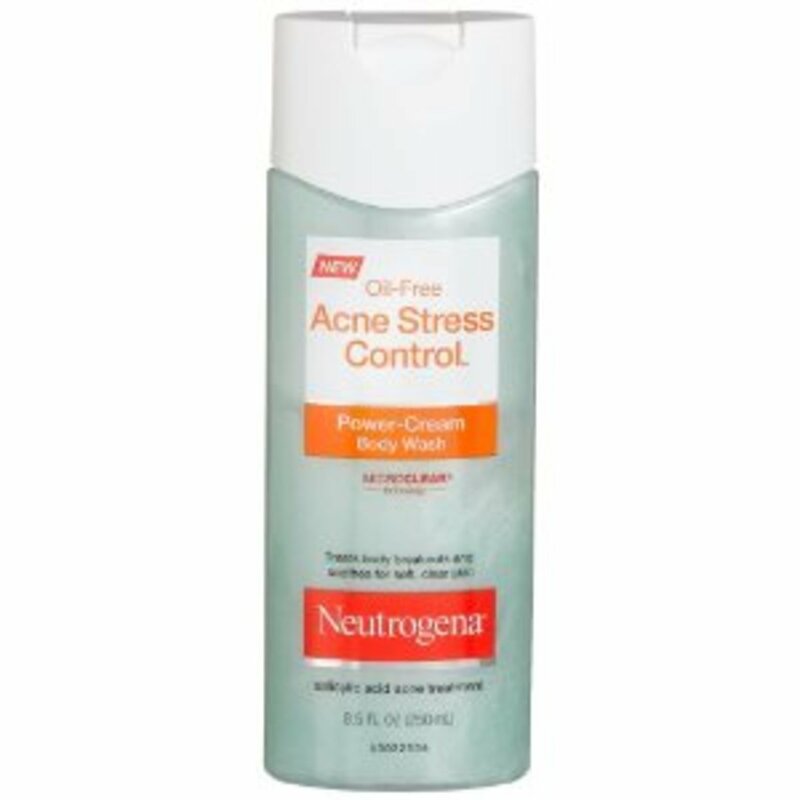 Although I still have periods where my acne seems to worsen, this product does a nice job at reducing the problem. Does dry out my skin a bit though. Great hub on the best acne body wash. It was really nice to see that you have spent the time to dedicate a hub to body acne. There are some many sites out there containing help and advice on facial acne but people seem to forget about body acne, which is probably nearly just as common! Hi, thanks a lot for this hub - it really is worth a lot to have somebody already preselected a couple of choice. There are so many cleansers out there, that it can be really tough to decide which one is right. When trying different treatments, I started to feel like I was turning myself into a lab rat, because I tried so many different things, and some actually caused me more problems instead of helping me to get a nicer skin. So, kudos to you for this! Nice hub. You have to know even after you get rid of the acne you still need to maintain your skin. Starting by avoiding too much alcohol can help.A strong astringent alcohol strips the top layer of your skin causing your sebaceous glands to produce more oils resulting to dry red skin and possibly more blemishes.Did you know that! You should also do a lot of exercise and drink a lot of water. @Nisha - No, thank you! Acne disturbs many teen girls frequently. 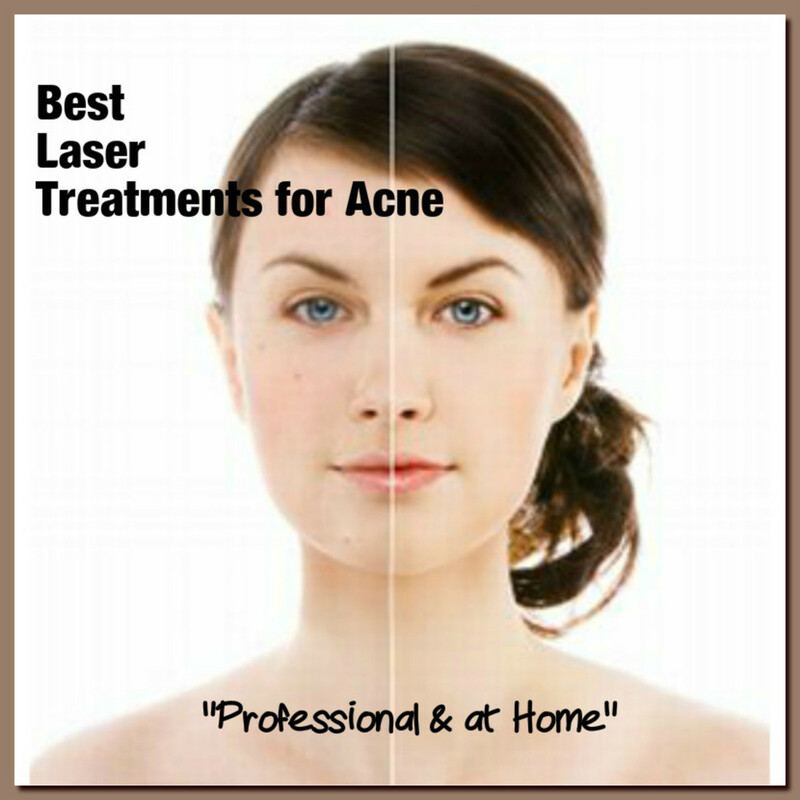 This blog provides good idea to cure the acne effectively. It is effective in removing the pimples too. Thanks for the prominent information.